Enjoy the top 1 famous quotes, sayings and quotations by Chitto Harjo. Away back in that time-in 1492 - there was a man by the name of Columbus came from across the great ocean, and he discovered the country for the white man ... What did he find when he first arrived here? Did he find a white man standing on the continent then? ... I stood here first, and Columbus first discovered me. Want to see more pictures of Chitto Harjo quotes? 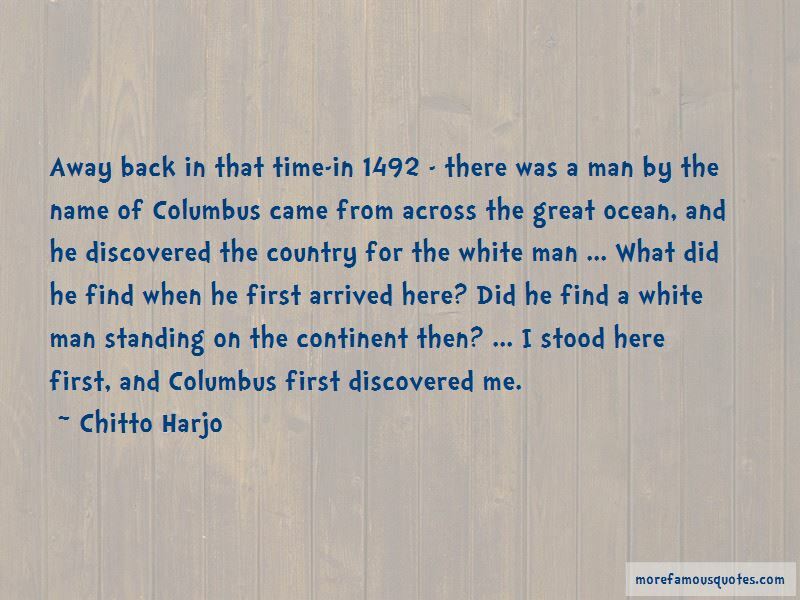 Click on image of Chitto Harjo quotes to view full size.